So, the time has come to put our Halloween preparations into full gear. We have been planning this year’s yard display–our tenth aannual extravaganza– for quite some time, but we needed to move from talk to action. 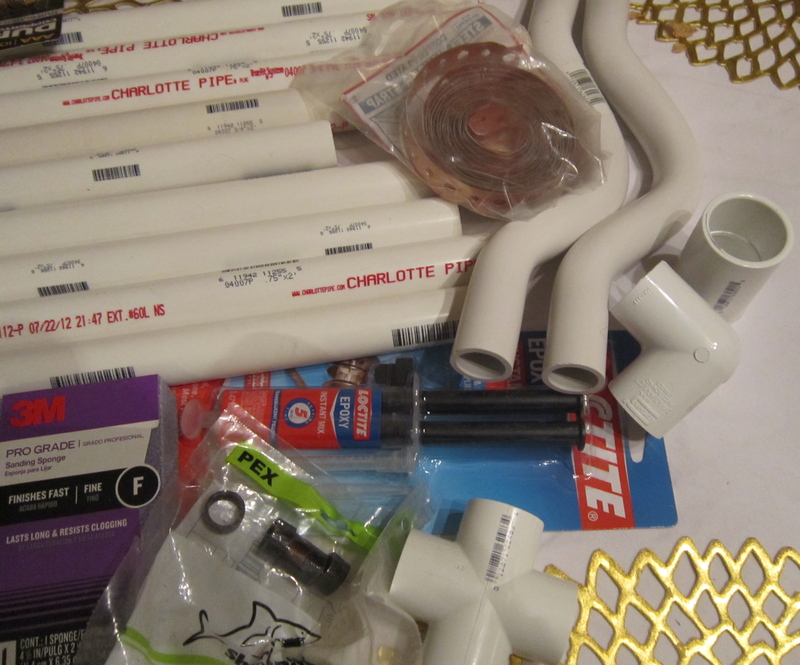 Neither my husband nor I is overly fond of Home Depot (too big, too confusing, too filled with purposeful people who seem to know what they are doing), but we found ourselves in the plumbing aisle trying to find the right PVC pipe to form the skeleton (or as I’ve learned to call it from all my art classes, the “armature”) for one of our characters–an axe wielding George Washington fighting off zombies (more to come on this, but don’t want to give away too much just yet). We were there two hours, looking like little kids with tinker toys, screwing this piece to that and gumming up the aisle with our toys. 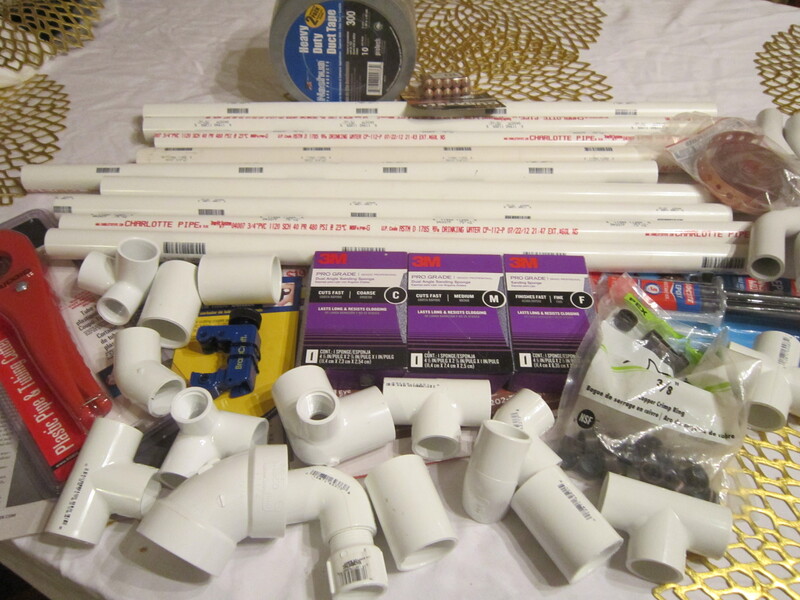 One man finally asked us what kind of plumbing project we were up to–oh silly people who look at PVC tubes and only think of plumbing! I think he was relieved to hear we were building a skeleton of sorts, as our pipe construction looked nothing like any kind of thing you might find in your bathroom. Michael is the mastermind behind all of our figures, and so after a while I wondered off to get other necessary supplies, like duct tape. and a much smaller cutter that is supposed to cut up copper pipes–I’m going to experiment on some thin copper tubing I purchased (not pictured, left abandoned in the trunk of the car for now), but just in case, I also found these cool little copper rounds that have a plumbing function but look like the perfect size for small bezels to fill with paper, beads and resin. You’ll see the results of those experiments when I get around to them. Oh and I got new sandpaper sponges of different grades to keep working on my soldered charms. No matter how hard I try to make everything nice and smooth with the soldering iron, it just doesn’t always work out, so I’m excited to sit down with my sponges and smooth out the rough edges of my life. 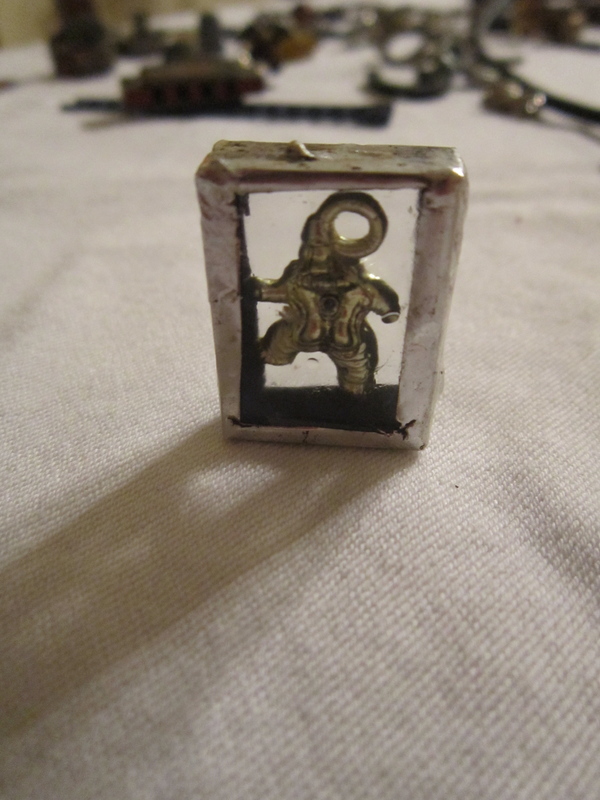 OK, rough edges of my charms, as it takes more than sandpaper to smooth over life. 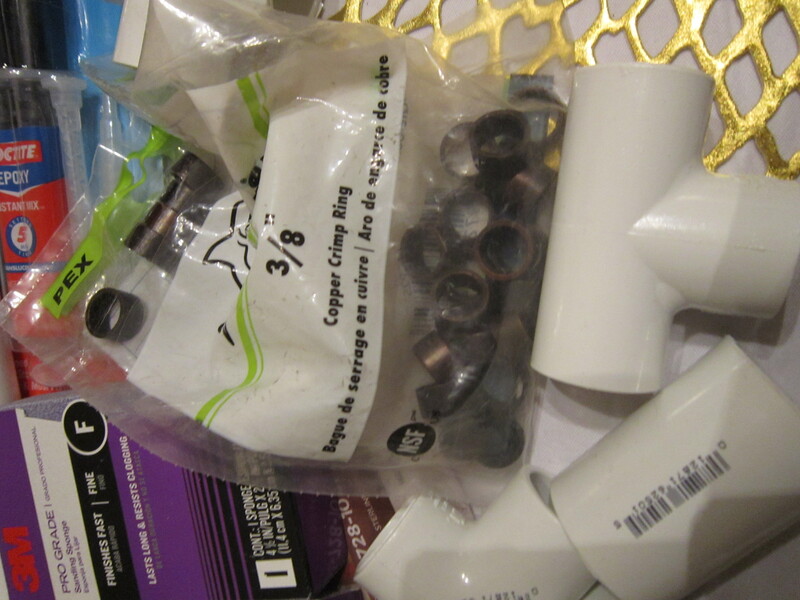 But this little adventure to the hardware store was a fun way to spend time with my husband and to keep us thinking about why we like to do things together. Breaking out of the rut reminds us that we have a good time doing nothing, even in the hardware store plumbing aisle.